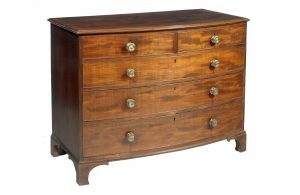 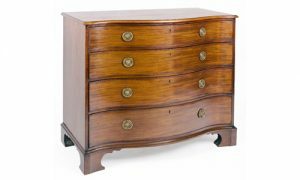 This early 19th century English satinwood demilune commode has four cabinet doors, the center two opening to four fitted drawers. 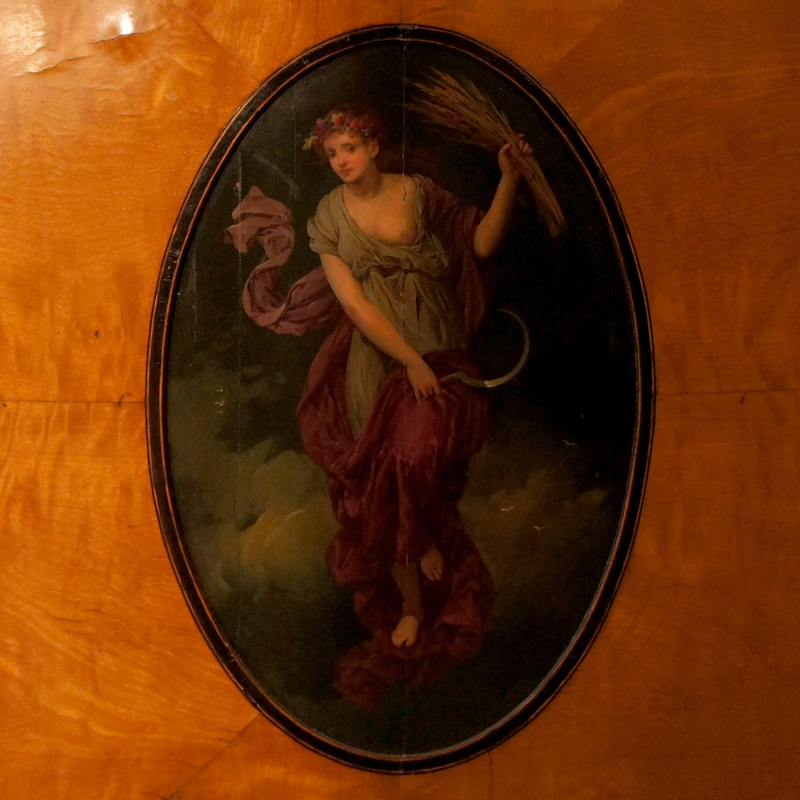 Ornamenting the four doors are beautifully handpainted panels depicting the four seasons. 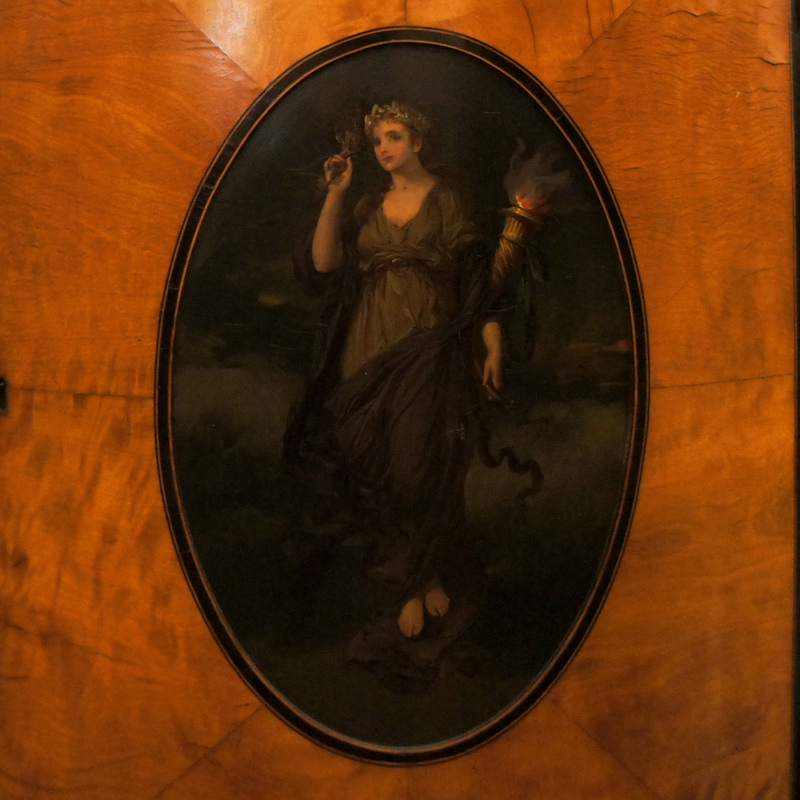 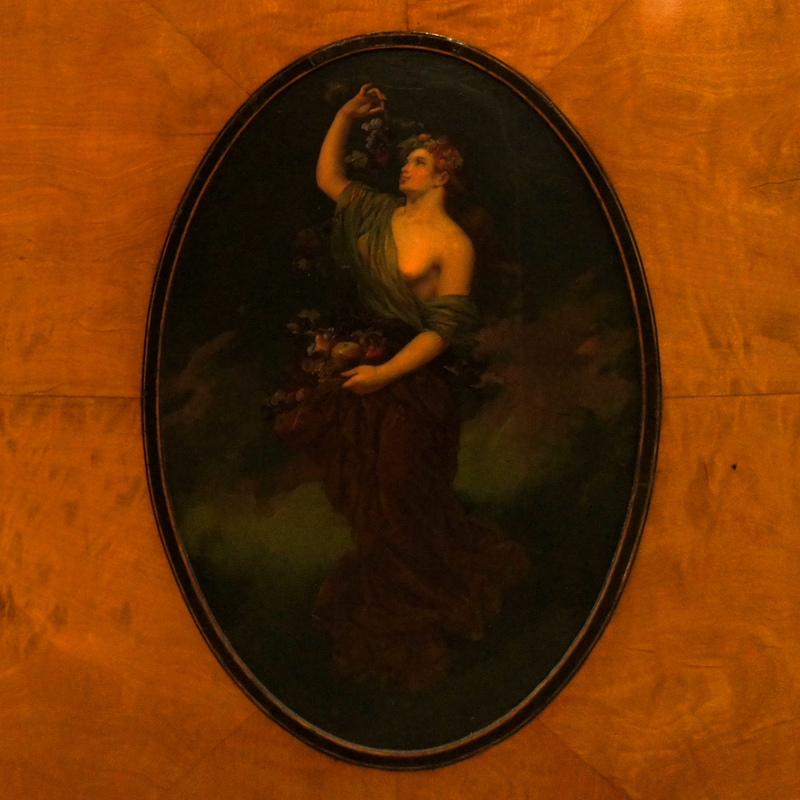 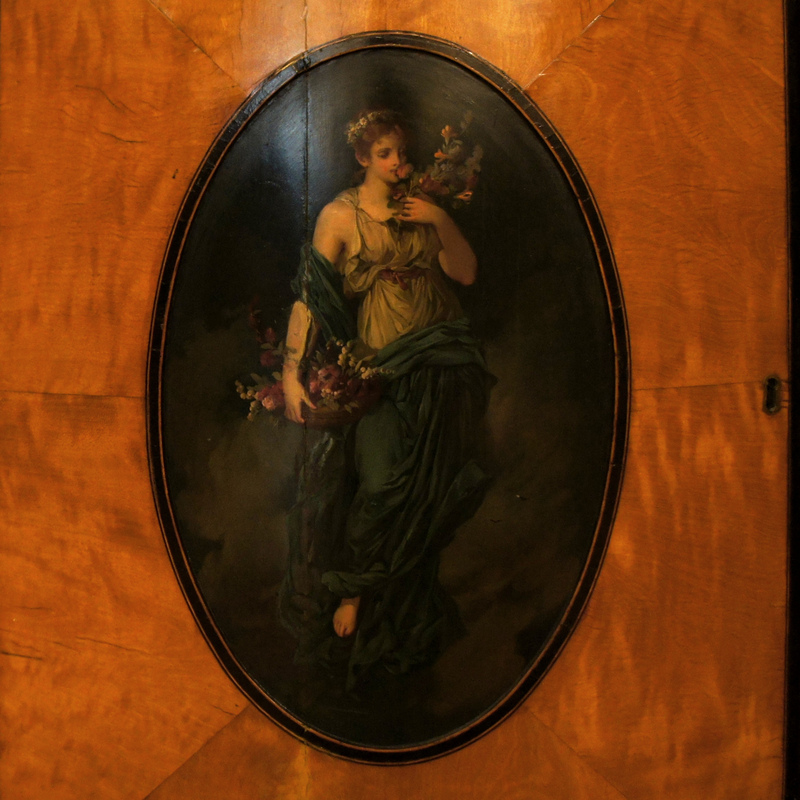 These exquisite panels are painted in the Neoclassical manner of the 18th-century English painter Angelica Kauffman. 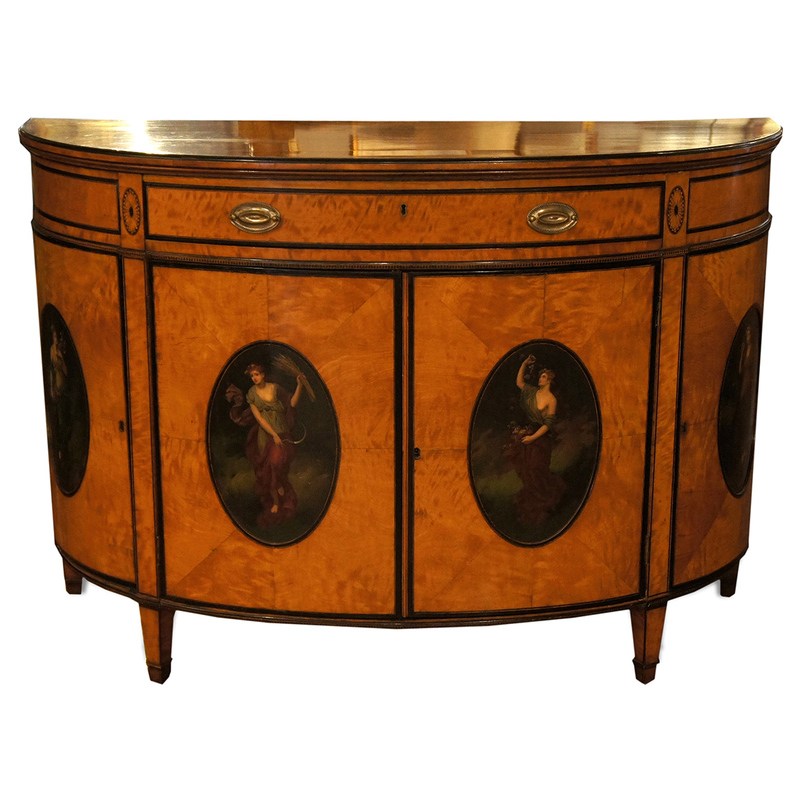 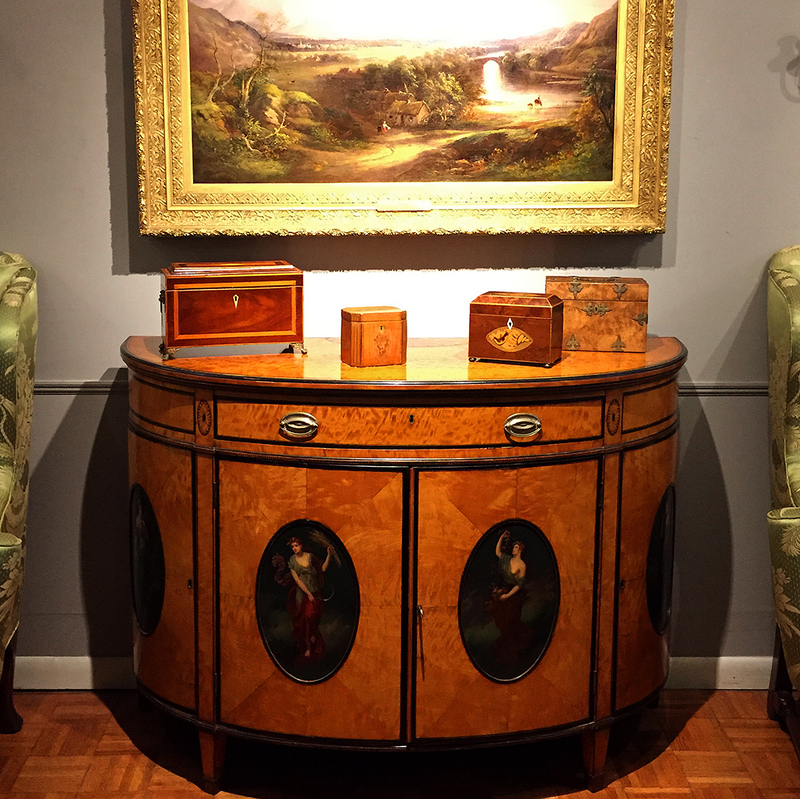 The dramatically grained satinwood is inlaid with sand-shaded fan patera and rosettes. 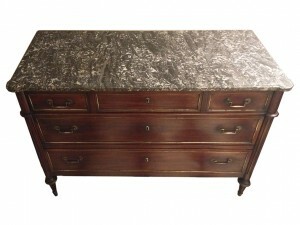 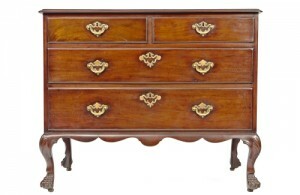 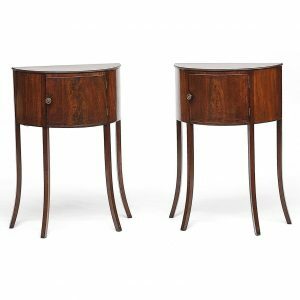 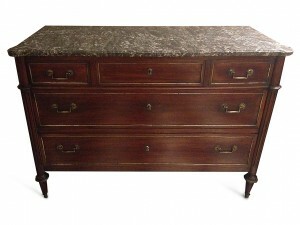 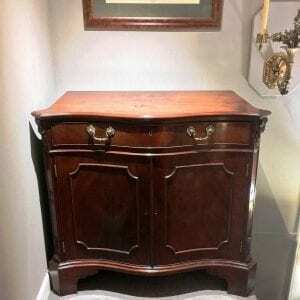 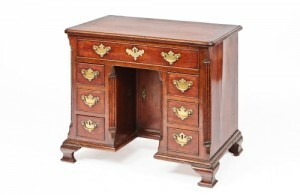 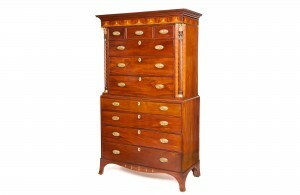 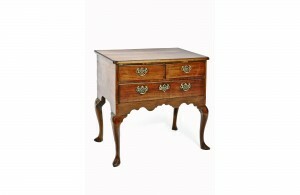 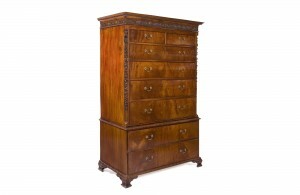 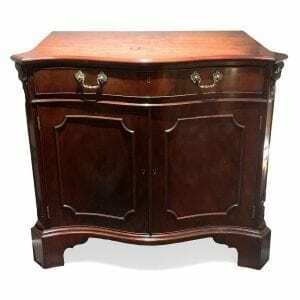 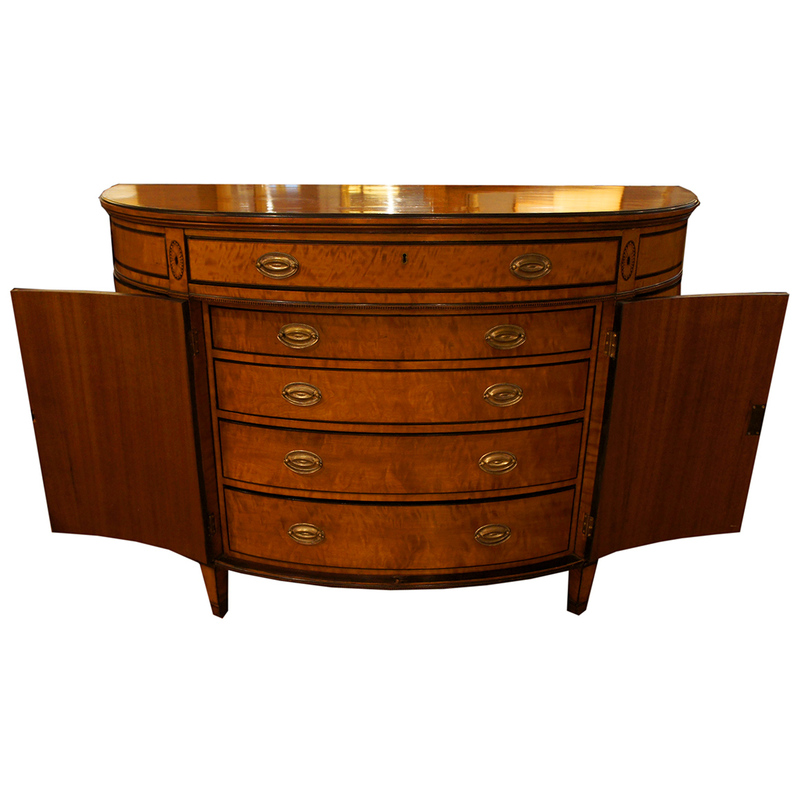 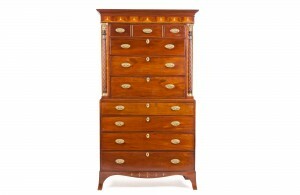 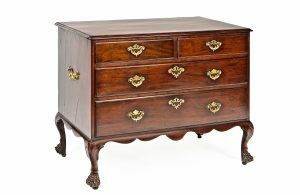 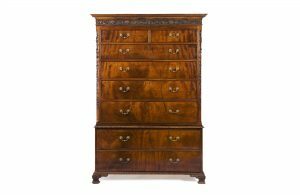 To enquiry about "3007 – Satinwood Adam Style Demilune Commode/Chest of Drawers", please complete the below form. 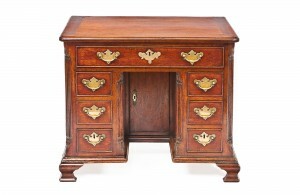 2627 Georgian mahogany kneehole desk.